「黐腳」有沒有? Wing Chun “Chi Gerk”, yes or no? Wing Chun “Chi Gerk”, yes or no? All Ip Man Wing Chun schools should have the Chi Sao excise, yet “Chi Gerk” (“Sticky Legs”) is only practiced at some schools. Some say that Chi Gerk was passed down from the Grandmaster Ip Man. Yet, some claim that Ip Man didn’t teach Chi Gerk and it was invented by Ip Man’s students. When I was going through some old martial art magazines I found an old article which originally was published in the 70’s in the New Martial Hero magazine from Hong Kong. It was republished again in 2006 by the same magazine. The article was an interview with Ip Man. 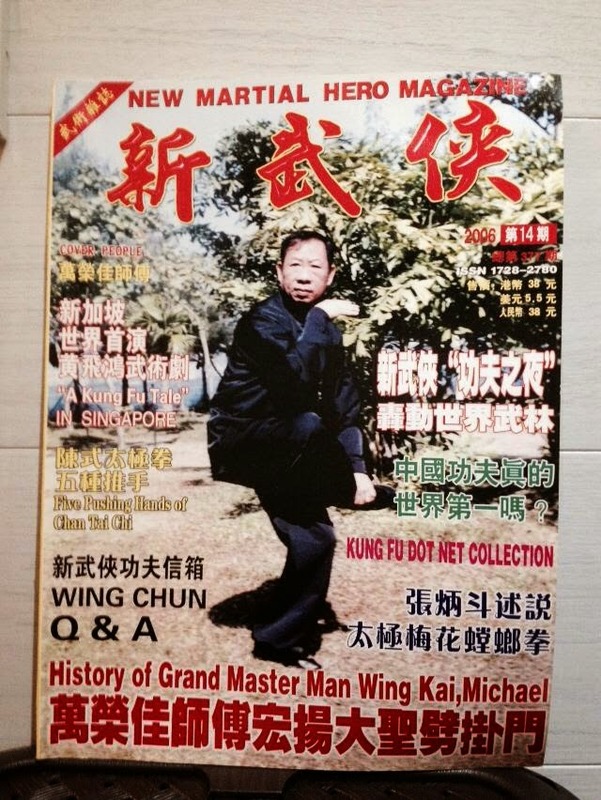 The title of the article is "Grandmaster Ip Man candidly speaks out on the intricacies of Chi Sao and Chi Gerk." In the article, Ip Man was quoted as saying: “After well-versed in the three empty-hand forms, one should have harvested a certain result for the horse stance, stepping and kicking. But in the case that one wants to excel in kicking, one has to go through two processes. First one on the skill level is to learn the Chi Gerk. Second one on the theoretical level is to learn the principles of kicking.” Then, the article continues on writing about Wing Chun kicking principles and toward the end it has a short description of Chi Gerk. This article is a strong evidence that there indeed has Chi Gerk in the Ip Man Wing Chun system.